I am very fortunate to be able to attend a number of Education Conferences each year. This offers me a perspective of education conferences that is not afforded to a majority of educators. When one considers the total number of American educators compared to the total attendance at these conferences and then factor out the people who repeatedly attend each year, it is easy to see that most educators do not get to these national conferences. That is a shortcoming I believe that hurts the profession. There is much to be learned and shared at these conferences that can make a difference to an educator. Of course many of these conferences are so vast that it is difficult to report on the whole conference when one can only experience a small part of it. It brings to mind the five blind men trying to describe what an elephant looked like based on only one part of the elephant that each had physical contact with. Each description was completely different, and not one accurately described the whole elephant. My last three conferences were Educon, FETC, and TCEA, wonderful conferences all. In each of these I met with many connected educators and participated exclusively in sessions of discussion or panel-driven discussion. I find these types of sessions more in line with what suits me in learning. I feel that I can personalize the sessions for my needs, and I can even participate in the content of the discussion personally becoming a part of the learning. Educon of all the conferences is the one conference that focuses on these types of sessions. Of course that would make it my conference of preference. The other conferences generally depend on “sit and get” PowerPoint demonstrations, or “bells and whistles” software presentations. There will always be a need for these sessions, but I question the balance, or lack of balance, they have when compared with discussion sessions at any given conference. The glaring deficiency in any session is that it must be submitted and approved 8 to 12 months in advance. How does that maintain relevance? How is the latest and greatest in education even represented at these conferences, unless it is discussion? Discussion can be more timely than any presentation that is eight months old. Discussion adds the ability to deal with topics of pedagogy and methodology as opposed to just the mechanics of a lesson. Discussions of education that do not take place in school buildings can take place with educators of varied experience to share and elaborate. This is the fodder for reflection. Reflection goes a long way in changing the way we approach things. It often prompts change and promotes reform. I believe that the success of the Edcamp format where discussion and collaboration are the focus, and the popularity of real-time chats on Twitter and Google Hangouts are all indicators of change. Educators are personalizing their learning in larger numbers. This may be a trend or something bigger. Whatever it is, we need to adjust the way conferences are providing what educators need as a profession. As a connected educator, I loved being with and sharing ideas and discussions with other educators with whom I am connected. Our conversations were not the same as those of unconnected educators at these conferences. As I talked with educators who were not in collaboration with others on a regular basis, I found a need to define and explain things to them that are discussed and understood online by connected educators daily. I am not saying that these unconnected educators are not good teachers, but maybe not as informed as a professional needs to be, or as relevant as a professional could be. We are in a profession that deals with information and learning. We need to be relevant in two areas, content and education. Online collaboration enables that to happen more efficiently and on a constant basis. These online discussions are carried further in a face-to-face setting of a conference. Those not involved with online collaboration are often playing catch up in the discussion. A worse alternative is that they withdraw from involvement in the discussion altogether. Technology has moved collaboration from a way of learning that only happened in a limiting face-to-face setting, to one that takes place anywhere at anytime breaking down the previous borders of time and space. For educators not to take full advantage of this new-found ability is a missed opportunity. We need to support, enhance, and encourage collaboration in all of its forms, online and face-to-face. Ideas that are born at conferences can be continually evolved online. The discussion need no longer end after the closing keynote. Ideas that are born online may be expanded and improved in the face-to-face collaboration of the conferences. We don’t need the opening keynote to start the thinking and connecting. We are professional educators who need to do a better job educating ourselves as educators. If we are to better educate kids, we need to better educate their educators. I recently attended a provocative session at Educon. For those who don’t know Educon is an annual education Conference held at the Science Leadership Academy in Philadelphia each year on the week before the Super Bowl. It is a conference of discussion as opposed to a conference of presentation. Each of the sessions is a facilitated discussion that involves the participants. It was in one such session that #Edchat received what I thought was an unwarranted criticism from one of the participants in the session. For those who may be new to social media scheduled chats take place on Twitter on various topics in education throughout the week. Each is hosted and moderated by an educator who has an interest in the topic of discussion. This real-time chat is conducted through the use of hash tags (#Edchat), which curate all the tweets, so that the chat can be followed without interference from other tweets on the stream. One would simply create a column to follow the specific hash tag and all other tweets would be filtered out so that only hash-tagged tweets would appear in that column. I gave a complete description of education Chats in this post: Chats: What are they and why do we need them? The Edchat criticism came in a discussion that I attended on The Privileged Voices in Education; facilitated by two people I greatly admire Jose Vilson, and Audrey Watters. I attended that particular session in need of making myself more aware of how I might be unknowingly offending and even demeaning people, as I address things from a position of privilege as a white, heterosexual, male educator. Those are all factors that have been brought to my attention lately, specifically because I have a voice in social media, and I haven’t been aware of my privilege in our very diverse culture. This need for awareness comes with the added responsibility of being an educator. I was unaware of my micro-aggression. As I consulted Wikipedia for specifics I found Micro-aggression: “brief and commonplace daily verbal, behavioral, or environmental indignities, whether intentional or unintentional, that communicate hostile, derogatory, or negative racial slights and insults toward people of color ” I need to reflect on that discussion more before attempting to delve deeper in a later post. A follow-up post on this is my intention. Of course the Edchat criticism came during this particular educator’s comments within this larger more important discussion, so I did not feel it appropriate to respond to him at the time. It was later however, that it occurred to me that we, as educators, are also privileged and must be aware of the less educated or informed. The comment about Edchat was not horrible. It was not even offensive. As a founder of Edchat, I am always listening to educators’ comments. Of course it doesn’t help, when a comment is made about Edchat in a room full of educators, and that a half-dozen, or so, immediately turn to me to see if I will respond. It reminds me of a group of kids gathered to watch a fight afterschool. This educator said he was introduced to Edchat nine months ago and he felt that Twitter, and Edchat specifically was not the right place to have education discussions. He felt that 140-character format was insufficient for discussion. That was when it occurred to me that he might be speaking from a position of privilege as an educator who is exposed to education discourse. He certainly is an educator who was afforded an opportunity to attend a $200 conference in Philadelphia. His experience is not that of educators in other regions of America and even further from those of educators outside America. Who was he, to make the judgment for other people who an education chat had little, or no value? Opportunity to freely discuss issues in education does not take place in every school globally. Education chats are global, and they offer a glimpse, yes, just a glimpse, of only some of the things that concern educators. It is also mainly an American point of view for most of the chats probably dominated by a northeast influence. Additionally, I have no idea how many people of color are involved. I might assume that not as many as we should have. For anyone to consider all of this and feel that their experience outweighs all others in a judgment on the worth of a chat, may be a little too much, but, the again, I have already made too much of even this. These twitter chats and even blog posts are not the deep discussions needed for us to make all the right decisions in education, or even our personal lives. They are however starting points. They are flags, signposts, billboards, and bulletin boards to concerns that educators have. They are forerunners and precursors to the needed deeper discussions. Please don’t criticize Chats like Edchat for not being the needed deep discussion. They were never intended to be that. They were set up to create awareness for the community. The very deep discussion that was taking place at Educon was in great part a result of the tweets and chats of social media as explained by the facilitators. We should remember that sometimes a chat is just a chat. Collaborative learning has always been with us. Educators have for ages shared ideas and methods with other educators that they came in contact with on a face-to-face basis. 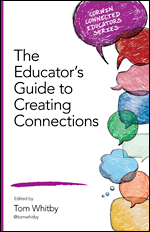 Most educators insist that face to face connections are their best connections. Unfortunately, for some educators, it is their only form of professional collaboration. Technology, however, has been a game changer in the area of collaboration. It has enabled at least hundreds of thousands, if not a million educators to connect in various ways to share and collaborate professionally, learning and growing in the process. 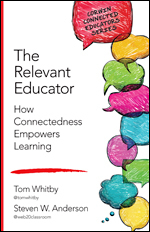 This has become a growing movement recognized as connected educators. The U.S Department of Education has recognized and supported the movement for the last two years with Connected Educator Month. Although many are connected, a majority has yet to reap the benefits. What has bothered me for several years now has been the lack of support by the State and National Education organizations for the connected educator. The conferences of these organizations do have some sessions on Personal Learning Networks and how to connect educators, but the need for more information on those topics always seems to exceed the supply of sessions at these conferences. 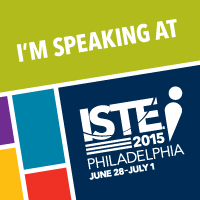 Two State conferences of ISTE affiliates that I am familiar with have gone out of their way for connected educator education. Both NYSCATE of New York, and ICE of Illinois have created booths and lounges to educate and connect educators on the advantages of being connected educators. NYSCATE even gave out mugs to those who connected to other educators on site. The irony of this dilemma comes in the fact that all of the Education organizations are now very quick to develop hashtags for their conferences, in order to create a buzz, and branding for both the conference, and the organization among connected educators. They fail however, to support that connectedness at the conference itself. 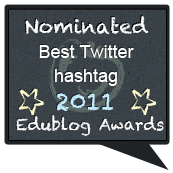 Few programs offer Twitter handles of educators and speakers in their programs. Nametags do not contain contact info for connecting. Friday night I put out a tweet that we should start a movement petitioning all education organizations to at least support connected education by including Twitter handles on Nametags at conferences. Educators are connected in many ways using a cadre of applications to do so. 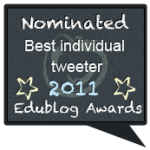 Twitter in my estimation has been in place the longest supporting and promoting connected educators in developing collaborative personal Learning Networks. Three people who I respect and admire from my own PLN immediately jumped on the tweet pointing out that an endorsement of one application over all of the others might be unfair. I was surprised that anyone was even on Twitter late on a Friday night so close to the holidays. As educators I guess we strive to be fair to everyone even if that one is an application. Both Pintrest and FaceBook were mentioned as additional ways to connect, and we should not favor one over the other. I would add that LinkedIn and Plurk are also in the mix. There are any number of Social Media applications that afford educators the ability to connect. I chose Twitter because it was the one application that has been used specifically for professional collaboration over the longest period of time, by the greatest number of professionals. I wanted organizations to be able, in a simple way, to support and promote connectedness with educators. My connected colleagues however do have a valid point. Maybe a better method would be to allow conference participants to place on their nametags their preferred method of connecting with the name of their choice. Educators should not have to ink in their own information. It needs to be recognized by organizations as a legitimate for of professionalism for educators. The unconnected educators need to be educated and convinced of the legitimacy of connectedness. The larger picture here is to get these Education Organizations to support connected educators and not just use them. PLN’s will never take the place of conferences, just as computers will never take the place of educators. Our world is changing and to stay relevant we need to change as well. In the garden of ideas we must weed out the bad and fertilize the good, but we can never ignore the ideas that are popping up at a rate never before imagined. Collaborative, connected educators are making a difference and creating transparency in a system that before operated behind closed classroom doors. Sharing the good and shining a light on the bad benefits all educators and in turn all students. That deserves to be supported and promoted by our own professional organizations. For those who may be unaware, The WISE Summit is an education conference held each year in Doha, Qatar. The Qatar Foundation, which supports innovation in education around the world, sponsors it. It was my good fortune to be invited to attend last year along with my good friend and colleague Steven Anderson. The invitation to attend the WISE Summit comes with travel and accommodations paid for by the conference. This enables attendees to be truly representative of a huge number of countries worldwide. I was quite fortunate to be invited back a second year and lead a discussion in a common ground session. One thing that sets the WISE Summit apart from all other education conferences we have become most familiar with is that the WISE Foundation is able to act on their good intentions. When they find educators who are passionately pursuing innovative educational endeavors, The WISE Foundation shares not only the idea with their summit attendees, but they deliver those very innovative, passionate educators to personally tell their stories to the WISE Conference. This in person delivery more than anything else best shares that passion and innovation in hopes that it becomes infectious. This conference sets itself above all others in that it fully support its intentions with actions, and of course this does not come cheaply. The result of the huge investment in this education, and innovation connection is that the very necessary ideas for change in education can be discussed and shared at levels that potentially can make a difference on a worldwide level. Some of the most influential, Non-Government Organizations, responsible for educating millions around the world have personal access to these exceptional individuals and their ideas. The best part of this from my personal perspective is that, as an educator, and a blogger, I have the very same access to those folks. I find their ability to share their stories based on their ideas and experiences is not just inspirational, but also empowering. There are so many people with whom I connected at this conference that I could write about, but a single post could not begin to scrape the surface of connections. Almost every business card handed to me at the conference brings to mind something about the individual represented. Of course it helps that I made notes right on the card after receiving it. It was my personal method of keeping up with so much information. Of all of the connections and friendships that I made in Doha, Qatar, there are two individuals who are probably best described as unlikely standouts among educators. At a truly international conference I tend to bond more quickly with American educators. I find myself naturally attracted to and comfortable with people who seem familiar when I am in unfamiliar surroundings. To my advantage however this was my second year attending the WISE Summit, so a great deal of venturing beyond my comfort level took place. The two people I first came in contact with upon my arrival probably had the most profound effect on me for the conference. One was an African-American man from South Los Angeles, California, and the other was a white man from the South Bronx, New York. The three of us met for the first time in Doha. It was their first trip to Qatar and they were both wondering what it was that got them the invitation. I knew why they were invited within minutes of each of them telling me their story. Both men had a mission in life and each was passionate about it. Both were about helping people and each was laser focused on that goal. Both encountered great obstacles set up by culture and politics and each had battled and won great victories. One was steeped in hyperactivity and had a hard time sitting in a chair. The other was mellow and very laid back. I was comfortable with both guys and we got along fine. They are people I will keep in touch with and follow, as they continue to do wonderful things for their communities and that alone will drag or push many of us along with them. I could not do justice to their stories in attempting to describe them to you in this post. I could not begin to even attempt to describe the passion and enthusiasm of these men for what it is they each do. It is ironic that each was brought around the world to meet for the first time when one considers what each of them did to get there. To best serve you as a reader, I can connect you with their video, so that you can see to some measure that which I saw in full measure. Even that should be enough to recognize these men as extraordinary educators and people we need to hold in high esteem with our support. These are the Ted Talk videos of my new friends, Ron Finley, and Steve Ritz. I would expect you to view them, and hopefully, pass this along to other educators as well. Simply click on each title to view the video. At a recent education award ceremony, a prominent education leader being recognized began the acceptance speech by saying “I am not a techie”. 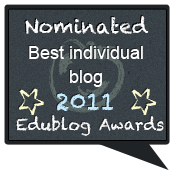 At first I was a little upset, because these awards were for educators, and not technology educators. I had to catch myself and hold back my criticism, because I often use that same phrase with educators, but for a different reason. It is actually a symptom of a decades old and continuing discussion in education. We are now living in a world that is technology-driven, requiring a minimum amount of digital literacy from anyone who hopes to function, if not thrive, in that world. Many educators do not feel that they are sufficiently versed in technology to adequately prepare their students for the world in which the students will live. Much of this is a result of the way technology has evolved in education. Technology was not integrated as a tool for learning from the start, but rather it was almost a mystical, or a magical thing that had its own department and staff, as well as specially trained teachers to work with it. In the beginning it was an add-on. It also started in the wealthier schools. Colleges were not adequately preparing pre-service teachers in the use or integration of tech. Some colleges struggle with the very same issues today. Technology and education were like trains on two spate lines of track. Some tech blended in immediately with little resistance. When the first electronic four-function pocket calculators came out in the seventies, teachers could not buy them fast enough at a time when report card grades were due. The cost back then was about $100. The other quickly accepted tech was the word processor. This was probably because it closely resembled an accepted form of tech, the typewriter. The methodology in using a word processor is very different from a typewriter. I am willing to bet however, that there are still teachers requiring kids to do a rough draft, final draft, on paper in pen, and then to type that into the word processor. Being an educator today requires that we be digitally literate. Beyond that we also need to have a basic understanding of these technology tools for learning. The ultimate plan for education is to have kids learn to intelligently communicate, critically think, collaborate and create in their world. The very tools that they will use today to do all of this are technological. The tools that they will use in their future will be even more advanced technology. Educators have a responsibility to deliver a relevant education to their students. That requires digital literacy. I often had to debate some of my higher ed colleagues as I incorporated more and more technology into my education courses. Colleagues telling me that I was not teaching a technology course, but rather an education course often challenged me. I would insist that I was teaching an education course, and using technology tools for learning that the future educators in my class need to understand. However, in the minds of my colleagues technology and education were two separate entities. If we are to accomplish the goal of educating our educators about digital literacy, we need to stop apologizing out of embarrassment for shortcomings. For an educator to say, “I am not a techie” and consider that ample reason not to use digital devices, or not to permit Internet access in a 21st Century classroom is depriving students of skills and sources that they will need for better understanding and a better ability to compete in their world. That Award winning educator found herself in an auditorium of connected educators and made claim to not being a techie. She wrongly assumed that connected educators in that room were all techies. In fact although some were techies and some were geeks, most were just digitally literate educators; a goal that should be held by every educator who wants to be relevant and effective. When I tell people I am not a techie, it is not because I fail to use technology as a tool. It is because at my age I learn about whatever it is that I need to know to stay relevant. I emphasize that digital literacy is not a generational thing; it is a learning thing. I am a life long learner and that requires digital literacy to maintain. Technology and education have merged in many ways. We cannot separate them out any longer. Educators should not need a degree in education and then another in Educational Technology in order to be a digitally literate educator. Beyond the mindset we need to change the approach to professional development. We do not need to be teaching the bells and whistles of a technology application. We need to ask teachers what they are doing first, and then see if the introduction of an application will benefit that goal. Chances are good that it will. We need the Technology staff to understand pedagogy and methodology in order to incorporate technology into education more seamlessly. We will not be effective as a profession of techies and teachers. We will succeed if we are all digitally literate educators. An illiterate educator is an ineffective educator. To better educate our children we need to better educate their educators. Over the years, as I have discussed collaboration in education with thousands of educators, there is one sentiment, or opinion of collaboration that has popped up among some of these educators that I just don’t get. Many of these educators have expressed to me the opinion that collaborative teachers who share personal sources such as lesson plans, personal websites, or even blog posts are not humble enough. 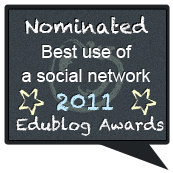 They feel as if sharing on the Internet is like bragging about being better than other educators. They consider it to be gloating. 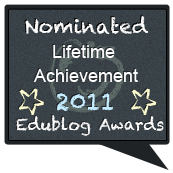 Publicizing personal achievements to appear superior to other educators. That whole mindset seems counter to the idea of collaboration. It actually seems counter to a philosophy of teaching and learning. Maybe that’s why I don’t get it, especially coming from educators. The whole idea behind being a connected educator is for educators to share sources that will benefit learners. It would be very limiting if the only sources educators shared were those developed by others, but at least they would appear to be humble. Would people really consider educators to be more humble, if they didn’t mention their own accomplishments? I often wonder why teachers are supposed to be humble anyway. What makes being humble so virtuous? Could this be one reason for the reluctance on the part of so many educators to connect and collaborate? Arrogant, privileged, brazen braggart that I am, I would like to share a part of my accomplishments that I am quite proud of and that could benefit educators who take advantage of my sharing. 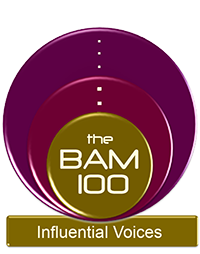 The #Edchat Radio Show produced by the BAM Radio Network is a weekly show for educators. It is produced in the form of 10 to 12 minute podcasts, so that educators can play it on any device in a form and length that enables educators to take full advantage of time and place. On a recent family road trip to college my daughter asked me to play an episode of the #Edchat Radio show so she could better understand what it is that I do these days. It was any easy request to fill. I had all of the shows on a podcast app on my phone. I connected the phone to the car radio and I became the voice on the radio for the road trip. 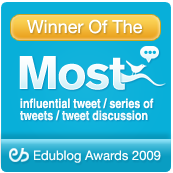 The purpose of the show is to share with the audience what transpired in that week’s #Edchat. The 7 PM chat is the one most often covered on the show, since it is the most popular and more heavily attended. However, when the noon chat produces an interesting and lively topic that is covered as well. Each show contains a guest. Sometimes the guest is just a chatter involved in that specific chat, or an author, or an education thought leader. The #Edchat moderator team guests as well: Steve Anderson, Shelly Terrell, Jerry Blumengarten, Kyle Pace, Jerry Swiatek, and Mary Beth Hertz. The constants on each show would be the hosts, myself, and Nancy Blair. I love working with Nancy. She is an experienced educator, and now an education consultant with expertise in Professional Development. She is the detail person that I am not. She keeps us focused and on target. Nancy tends to smooth out my rough edges with a great depth of knowledge on any given topic. I should make it clear that this entire project does not benefit us in any way other than a satisfaction that we are sharing the community’s ideas from each chat. There is no money to be had here. The idea has always been to share the #Edchat collaboration in as many ways as possible. We had the #Edchat live, and the #Edchat Archives, the #Edchat Facebook Page, and now we have the #Edchat Radio Show. The complete list of #Edchat Radio Show podcasts is available on iTunes. They are free and yours for the download. As we drove the highways headed for college, I was listening to the shows with a fresh ear. It had been months since I listened to many of them and I was now listening as a consumer and not a producer. Each show was lively and very informative. What interested me most was how much each of the guests contributed. We had and hopefully will continue to have some of the most informed and collaborative educators who continually contribute the best portions of each of the radio show podcasts. Of course the best outcome from this family adventure was that my daughter could understand what it is that I do in the world of connected educators. A vast majority of teachers that I taught with for years have no clue what that is. We need to share more of what we as educators do in any form that reaches an audience. If we need to do it humbly, that’s okay. If we can do it with confidence and pride, I think that may be better. I am proud of what I do and I love sharing it. But then again I am an arrogant, privileged, brazen braggart and proud of it. I think everyone has certain phrases, or catchwords that tend to set them off. Some of us, of the more passionate persuasion, have phrases that send us over the edge. I am not talking about the conference clichés like “that’s where the tire meets the road” or “Let’s not kick that can down the road” and the ever-popular “I wouldn’t give your troubles to a monkey on a rock’. I am talking about phrases that are couched in the comfort of country-speak to conceal the true intentions of what the phrase represents. I attended a wonderful Edcamp this week where I shared and learned a great deal, but I encountered the frequent use of two such expressions in more than a couple of sessions. If you need an explanation of what an Edcamp is, I will make an assumption that you are not yet connected, or at best a newly connected educator. Edcamps started a few years back and have become a growing movement for educators to personalize their learning of their much-needed professional development. The existing models of PD provided by the education system over the last few centuries don’t seem to be providing the necessary elements for success for educators. A growing number of educators have designed a new form of PD called Edcamps. Edcamp sessions are discussions of what the participants find relevant. There is no pre-set schedule of approved sessions. People volunteer to lead discussions on topics chosen by the attendees. There are no vendor sessions. There are only educators. If a session is not meeting an attendees needs they are free to move on to another session. These Edcamps are a direct result of connected educators efforts. They are organized, advertised, criticized and evangelized all through the means provided by social media as it is used and refined by educators to connect, communicate, collaborate, and create within their own profession. It enables individuals to adjust and refine their learning to meet their specific needs. Connections made at the Edcamps provide ongoing support and a perpetual flow of sources to arm educators with the means necessary for their own learning and that of their students. Ironically, when this concept was presented to a group of administrators at an ISTE Conference a few years back, it was not warmly received as acceptable alternative to the existing outdated models. The seemingly preponderance of concern was the lack of CONTROL. Administrators had no control, over the learning either as a group or for individuals who have the ability to personalize their learning. It baffles me how we individualize our students’ learning with IEP’s, differentiation, and accommodations, but when it comes to educating educators we strive to control the learning, so the group gets its proper dose. It doesn’t matter that educators learn; it only matters that it can be demonstrated that it was taught and everyone was exposed to that teaching. It is but a check on an administrator’s list. How often do we talk about assessing PD? How often do we study the effect of educator learning on student learning in specific schools? What support do schools supply to educators to share and collaborate what they do learn in the form of PD? An amazingly large number of educators fully see the urgent need and agree that we need to drastically change the system. Get ready for me to go over the cliff at this point. Many say however “WE NEED TO TAKE BABY STEPS”. Why??? We are not babies. We are among the most educated group of people this country has to offer. We hold advanced degrees. We are proven thinkers and learners. Taking baby steps implies a lack of consideration, a lack of understanding, lack willingness, a lack of confidence, a lack of urgency, and most obvious to me is a lack in taking full responsibility for change. Taking baby steps to me means moving slowly enough to gauge the reactions of others. It goes to that “Teacher mentality” of “educators make no mistakes in public”. The fear of failure is often the thing that produces failure. It is a combination of all of this that has allowed the national discussion on education to be taken over by non-educators. The very baby steps educators are taking to move from a 19th century model of education to a model for educating kids for their future has made educators targets and not innovators. Educators are being held accountable only for the shortcomings and none of the successes. If our baby steps take us 100 years to move into the 21st century, we will need to start all over again in the 22nd. “Comfort Level” is another over-the-edge term for me. It is the one phrase I find to be the biggest obstacle to reform. Learning is not always easy. It can be fun, and engaging, but for many it can be hard. Something that is hard to do is rarely comfortable. When I hear an educator say that there is something that is not in their comfort level, I think that they are saying “that is more than I am willing to learn because it’s hard for me”. That is not a comfort thing; that is a learning thing. We can’t have educators, the very people we need to learn and maintain relevance, not be willing to learn because they find it hard, and not comfortable. Connected educators and Edcamps are bold steps, not baby steps. Being a connected educator is not always comfortable, because sometimes it’s hard. We need more bold steps to take us forward as uncomfortable as that may be. We need bold leaders to take us forward. We have no time for baby steps because we are not babies. We are thinking, learning, educated educators and sometimes that’s hard and uncomfortable. Uncomfortable however, should never be a roadblock. We need to take strides with confidence not baby steps.